Following the first and second festivals, the 3rd Okinawa International Movie Festival will screen domestic and foreign titles from various genres such as nostalgic comedies, anime, “lost” classic titles, and titles from the new generation of directors who are expected to be the next wave in the movie industry, all of which be enjoyed by people of all generations. As for Japanese comedies, the focus will be on titles from the 1960s, which can be regarded as the heyday of Japanese comedies, featuring famous Japanese actors Kei Tani and Makoto Fujita, both of whom regrettably passed away last year. Foreign comedies will feature the works of Tony Curtis and Leslie Nielson, actors who thrilled movie fans of all ages worldwide with marvelous performances ranging from serious roles to roles with a human touch. We hope you will enjoy these comedy favorites from Japan and the US. The Respect Screening segment will feature world renown Japanese anime that can be regarded as representative of Japanese culture. The lineup will include the debut titles of characters that have become popular through television and magazines. In the newly created category of Panorama Screening, “lost” classic titles and the debut works of talented, up-and-coming directors will be screened. Makoto Fujita and Kei Tani, the great Japanese comedic actor, regrettably passed away in 2010. Seven titles which are representative of the following two periods in the actors careers will be selected: 1) the period of their youth in the 1960s, when movies became a mainstream form of entertainment in Japan and the actors’ popularity rose along with the high growth period of the Japanese economy; and 2) the period when they reached their maturity as actors. Titles set in Okinawa from the widely popular “Tsuri Baka” series, in which Tani plays a brilliant supporting role, and the most comedic titles from the “Hissatsu” series, one of Fujita’s best-known works, will be screened at the Okinawa International Movie Festival in line with the festival’s basic theme. These titles are sure to convey the enduring appeal of these two actors. Four titles will be screened featuring famous actors Tony Curtis and Leslie Nielsen in their heyday. Both Curtis and Nielsen were mourned worldwide after their passing in 2010. Curtis charmed ladies around the world with his good looks. “The Bad News Bears go to Japan” is a title set in 1970s Japan with wonderful co-starring performances by Tomisaburo Wakayama, Kinichi Hagimoto, and Antonio Inoki in their youth. In “Paris When it Sizzles” starring Audrey Hepburn, Tony Curtis appeared in a difficult cameo role in which he played a romantic rival similar to his own screen persona. The depth of Curtis’ acting skills are on display here. The “Naked Gun” series was a breakthrough for Nielsen, who showcased his skills as a comedic actor by playing an inexplicably effective police detective who is able to solve case after case despite appearing silly. These are beloved comedic masterpieces sprinkled with numerous parodies of famous movies. Let us laugh together at the character of police detective Frank Drebin portrayed by Nielsen. Now that manga and TV anime have been made into movies, it is regarded as normal for their popular characters to appear on the big screen. Paving the way for this to happen were works created from the late 1970s to the early 1980s. The festival has collected the first wave of popular manga and TV anime that were turned into movies—Lupin the 3rd, Ginga Tetsudo 999, Makoto-chan, and Doraemon. All of these were the original works of manga masters. While containing the basics of an entertainment piece enjoyed by TV viewers, the movie versions were spiced up a bit so that these popular characters could enchant audiences of the big screen in movie theaters. The first step started with these works. Gut wrenching laughter, unexpected tears, and thrilling excitement! You are sure to understand the reasons why these are masterpieces. Sometimes great films tend to be passed over despite of their greatness. At the Sakurazaka theather, such “B side” films will be screened. In order to show films that are irrespective of genres, the Panorama Screening has been initiated. Total seven titles including past masterpieces and films by fresh blood who are bearers of a new age will be screened. 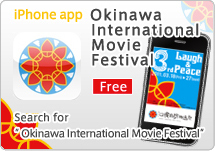 The third annual Okinawa Film Festival with the thrust to present the beauty of Okinawa has founded "Okinawa Presntation". The presentation will feature a film "Yell from Heaven" which was filmed at Motobu-cho where the central character actually grew up. 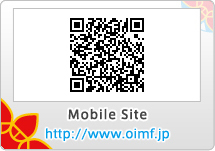 We are proud to bring enjoyment to both people from Okinawa and people visiting Okinawa through this approach.